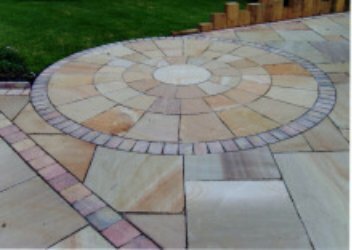 Based in Sutton Coldfield,Concept Paving has been a family run business for over 20 years and are rapidly establishing ourselves as one of the leading companies in the Paving,Driveways & Landscaping industry.Concept have made significant investments in modern equipment and staffing to meet the changing demands of the industry.With our superior, friendly, trustworthy service and over two decades of experience, we are the best in the Midlands in Landscape Gardening & Block Paving. We specialise in:Driveways, Block Paving,Slabbing, Turfing, Driveway Repairs, Fencing, Garden Walls,Brickwork, Garden Clearances, Rubbish Removals, Tree Felling, Trees Lopped, Tree Pruning, Grass Cutting, Hedge Cutting, Hedge Removals and much more! We are a council approved contractor with Solihull & Birmingham council working with various schools such as Castle Bromwich J/I, Marston Green J/I, Saint John Baptist J/I school & the Dovedale Centre. All of our work has a 10 year guarantee and is carried out by fully insured tradesmen. New for 2015 has been our investment in the latest innovation in hard surface cleaning the "Rotary Pressure Washer"which gives outstanding results bringing Block Paved Driveways back to new.